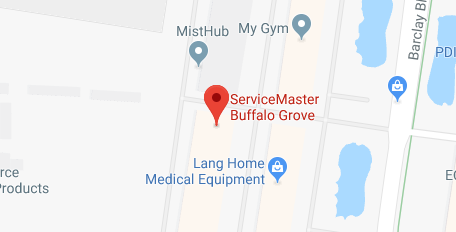 ServiceMaster DAK Enterprises is one of the largest and most experienced of the ServiceMaster Clean franchised businesses in the Chicagoland suburbs. Established in 1975 by owners Dean and Eileen Knox, they take pride in serving the North Shore and Northwest suburbs of the city of Chicago. ServiceMaster DAK Enterprises is recognized as a leader in ServiceMaster Clean brands because of their expertise in water restoration, fire restoration, mold removal, air duct cleaning and carpet cleaning. 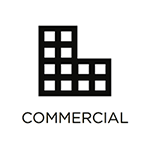 Our affiliations include, Indoor Air Quality Association, CMR, ORV, EPA and IICRC. Our experienced technicians know how to assess the damages and provide an appropriate plan of action. With our state of the art equipment and professional services, you can be sure to receive the best restoration services to your property. Here at ServiceMaster DAK, Arlington Heights we pride ourselves in servicing both residential and commercial clients in their time of need. At ServiceMaster DAK Enterprises we remain committed to the pursuit of excellence, providing state of the art technology, equipment and trained, certified staff when addressing any of your cleaning or restoration needs. Water is all around us in the natural environment which is why water damage is the most common type of property damage in homes and buildings. Excess water or moisture may get into a home due to heavy rain, flooding, burst pipes, plumbing leaks, or sewage backup and it can spread through porous building materials to cause extensive damage and possibly mold growth. 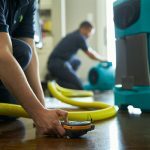 ServiceMaster DAK provides water damage restoration services to remove water from homes and businesses in Arlington Heights, IL and restore the resulting damage. We use state-of-the-art drying equipment to completely dry the furnishings and structural elements of your home. Few disasters result in more damage than indoor flooding as the standing water can quickly penetrate furnishings and building materials to cause extensive property damage. Indoor flooding can happen at any time because of severe weather or an internal issue such as an overflow, plumbing leak, or burst pipe. It is important to clean up flooding immediately to not only prevent further damage, but also decrease the risk of mold growth. ServiceMaster DAK provides flood damage restoration services to clean up the effects of flooding for homes and businesses in Arlington Heights, IL. Our technicians can effectively remove all flood water as well as dry and clean up the affected areas. A house fire typically happens with little to no warning and the damage it causes in a home or building can be extensive. The flames themselves cause charring while the corrosive byproducts and soot from the smoke spread well beyond the areas touched by the fire to cause tarnishing and etching. 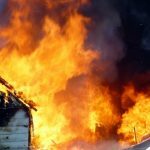 ServiceMaster DAK provides smoke and fire damage restoration services in Arlington Heights, IL to clean up and restore homes and buildings damaged by fire. Our advanced equipment and cleaning products allow us to effectively restore fire and soot damage and we can also remove smoke odors. The carpet may be the most used furnishing in a home or office because it experiences consistent foot traffic on a daily basis. This consistent use causes dirt and debris to accumulate within the carpet fibers that over time will cause the carpet to look dirty, stained, or worn out. 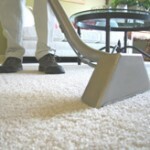 It takes professional cleaning services to fully clean and restore dirty carpeting and ServiceMaster DAK provides professional carpet cleaning for homes and businesses in Arlington Heights, IL. We can thoroughly remove embedded debris from the carpet fibers with our advanced cleaning equipment and we also have cleaners that are effective for removing stains. Mold can be a significant problem in a home or building as it causes extensive damage to the surfaces it grows on and greatly increases certain health risks such as allergies and respiratory infections. A source of moisture and an organic food source are all that is needed for the spores to form into mold and if it is not removed by a professional, it will continue to spread. ServiceMaster DAK provides mold remediation services in Arlington Heights, IL to remove mold growth from homes and buildings. We can properly test the building to ensure that all mold has been removed and we will also repair the moisture source to prevent future mold. 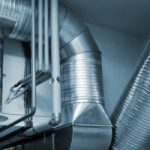 The air from the heating and cooling system of your home is distributed through the air ducts and as it passes through, it leaves dust and other airborne debris within the ducts and on the component parts. As this debris accumulates, it can lower the efficiency of the heating and cooling and contribute to poor indoor air quality by finding its way back into the breathing air every time the system runs. ServiceMaster DAK provides air duct cleaning services in Arlington Heights, IL to remove the gathered debris from your air ducts. These services will help improve the efficiency of your HVAC system for lower energy bills and contribute to healthier breathing air. There are many types of hard surface flooring available for any room of your home that are durable and visually appealing. 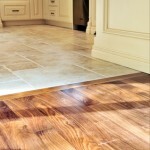 However, hard surface floors are susceptible to staining and they can even gather dirt and other debris within the tiny cracks and crevices. ServiceMaster DAK provides hard floor cleaning services in Arlington Heights, IL to effectively clean and restore hard surface flooring including hardwood floors, vinyl and linoleum floors, and ceramic and porcelain tile floors. We use cleaning equipment and products that are safe for each flooring type and we can provide new layers of finish if needed.